Orange Public Library Holiday Concert! Registration required as seating is limited. 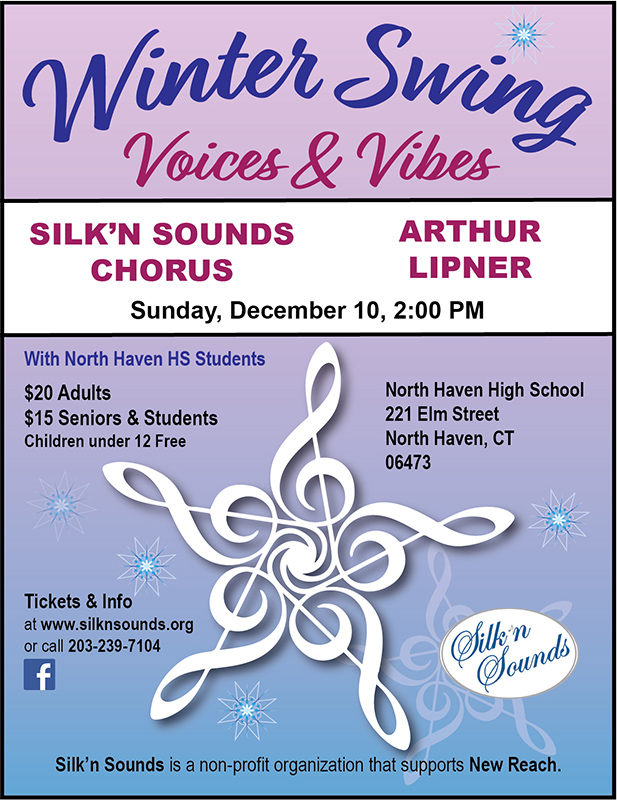 Silk'n Sounds welcomes the greater New Haven communities to a celebration of 20 years of song in a festive concert with a professional jazz orchestra and 40 singers from the North Haven High School at 2 pm on December 9, 2018 in a Holiday Extravaganza. 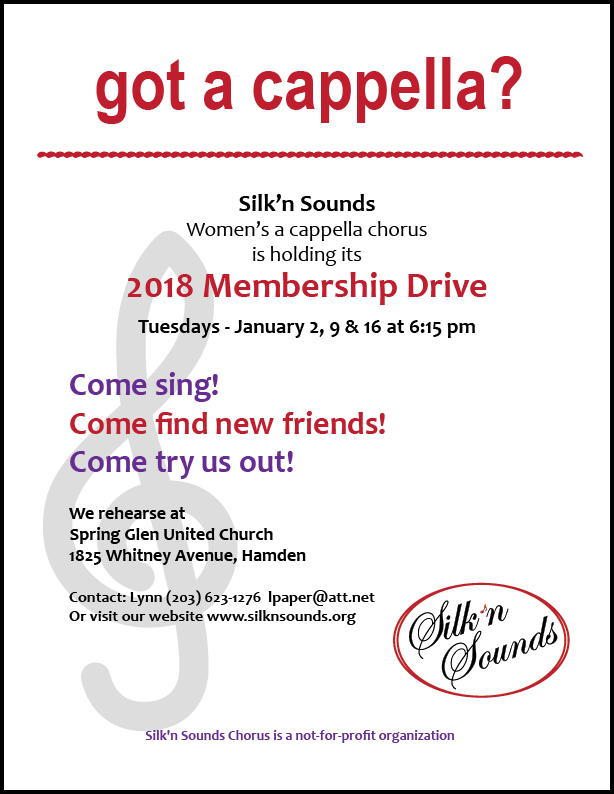 The program will feature some shimmering a cappella and joyous holiday swing inspired by artists like Manhattan Transfer, Straight No Chaser, George Gershwin and Harmony Queens. North Haven Library Holiday Concert!